Housing prices in major Chinese cities remained stable in June as local governments continued to curb the property sector, official data showed Tuesday. On a yearly basis, new residential housing prices in four first-tier cities including Beijing and Shanghai saw no change from a year ago, the National Bureau of Statistics (NBS) said in a statement on its website. Price growth of new homes in 31 second-tier cities expanded by 0.9 percentage points from that of May, while that of 35 third-tier cities remained the same as in May, according to the NBS data based on a survey of 70 cities. 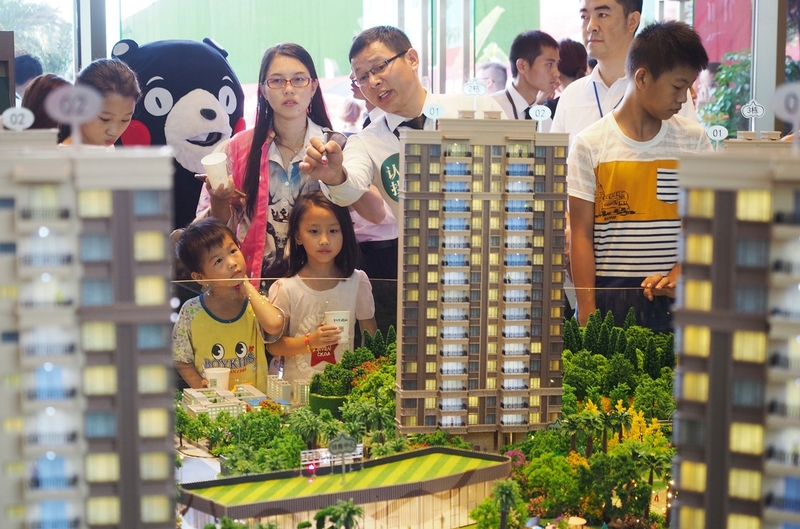 "Local governments have been firm on achieving housing control goals and implemented control measures in June," NBS senior statistician Liu Jianwei said. New home prices declined year on year in seven of the 15 "hotspot" cities, where speculative home purchases are monitored, with the most significant price drop of 2.2 percent last month, while eight other cities posted growth. During previous years, rocketing housing prices, especially in major cities, fueled concerns about asset bubbles. To curb speculation, local governments rolled out restrictions on purchasing homes and increased the minimum down payment required for a mortgage. "China's home prices are relatively stable given the figures of the 70 cities," said NBS spokesman Mao Shengyong. "But structural problems still exist in the housing market." Mao said third- and fourth-tier cities have experienced price spikes since the beginning of this year, and some "hotspot" cities face challenges to tame price surges of properties. The government will continue to work on the property tax scheme and policies that allow tenants to enjoy the same rights as homeowners, Mao said. "A long-term mechanism will be developed to promote the steady and healthy development of the housing market." Property investment rose 9.7 percent year-on-year in the first six months, marking a three-month slowdown partly due to strengthened regulation on real estate markets, according to NBS data.